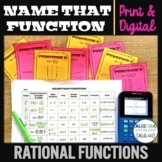 Students will graph rational functions. 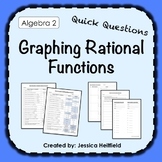 They will find vertical asymptotes, horizontal asymptotes, zeros, and any holes of the graph. 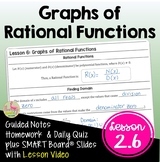 Students are to work in groups creating rational function graphs with the given specifications. 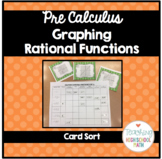 I have them graph on big paper with markers. 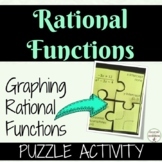 Graphing Rational Functions Activity: Fix Common Mistakes! 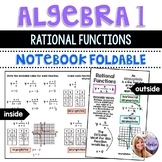 This is a foldable designed for interactive math notebooks. 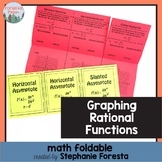 This foldable walks students through understanding: - The form of rational functions - Excluded values and guided practice problems - Graphing rational functions - Graphing asymptotes Answer key is included!